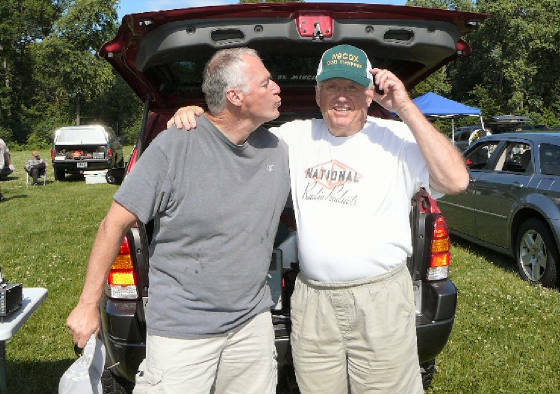 Ken-W5NKT, started the Wisc. SSB Net (1961) as well as the North Stars Net. 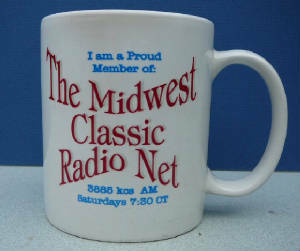 In 1987 he instituted the Midwest Classic Radio Net. He did it in an effort to revive interest in old boat anchor gear that at that time was near worthless. He relinquished control of the net about a year later due to health reasons and also because he felt that a station more centrally located would serve the net more effectively.Ken thought Mark-K9FBX, would make a nice choice as he was in the Chicago area and ran decent power. Mark-K9FBX, ran the net for a few years. Mark reportedly was known for his casual operation of the net. Ken reportedly returned to running the net again for a while after Mark. He was followed by Rob-WA9ZTY (SK). Roberta, Rob's widow, recently found an early log entry by Rob stating he ran the net on March 31, 1996. Rob ran the net for about 13 years. Rob was extremely proficient in boat anchor history and technical knowledge. In May, 2008 Harry-N9CQX assumed the NCO duties. He decided to manage the net by scheduling volunteer operators. Currently there are four additional operators who share the net control duties: Rodger-WQ9E, Dave-N9WQ, John-KE9KU, Tom-W9QI and Dave-W9WRL. Frank-W0KH was also on board for a while. DAVE, W9WRL, CONDUCTS PRE-NET ACTIVITIES STARTING AT 0645 HRS. DAVE KEEPS THE ROTATION IN ORDER FOR THOSE STATIONS WHO LIKE TO CHECK-IN EARLY. PLEASE LISTEN (AND DO NOT TRANSMIT) UNTIL DAVE CALLS FOR NEW CHECK-INS PERIODICALLY. A NUMBER OF STATIONS OFFER THEIR VEIWS ON VARIOUS SUBJECTS. SEE THE TECH SESSIONS PAGE. Back in 2001 the 9/11 twin towers disaster occurred. On that date Jim Jorgensen (K9RJ-SK) came on 75 AM fone and announced to me and others who were having a leisurely round-table to check the TV reports because the tragic event was just unfolding. Rob (WA9ZTY-SK), Bruce (W9QAH-SK) and Chuck (W9UB-SK) were on the air with me that morning. For the grace of God, I survived a massive heart attack on January 12th, 2009. Do I cherish my extended time on this sphere? You better believe it my fellow hams. Always remember our departed brethren and their contributions that have enriched our lives and live your lives, don’t just mark time. How many marbles do you have left? Harry, N9CQX : "Don't go kissing me, you crazy cheddarhead!" what operating SSB can do to a guy." Check-ins are required to be amplitude-modulated (AM mode). ATTENTION SWLers: When vintage items are offered for sale the seller's phone number is usually announced. So even if you are not able to check in, you still can contact a seller.